The Matrix Group provides additional services to maximize our client's marketing efforts, including marketing and merchandising services, as well as regional and national project management services. Mock jury research provides insight into how specifically targeted individuals and groups may react to your case. We screen and recruit participants for mock juries from a wide variety of socio-economic and educational backgrounds to match your desired jury pool profile. Usability studies are the best way to evaluate a product or website by testing it as consumers actually interact with it. The Matrix Group uses the latest technology to conduct hands-on usability tests. Let us put our 25 years of experience to work by setting you up for success. In today's competitive and volatile marketplace, a strategy that is based on a thorough examination of your business inclusive of competition, market position, market share, demographics, emerging technology, media and cultural trends is essential for survival. Our research-based approach to marketing strategy development focuses on defining your goals and objectives, identifying your position in the marketplace, and developing strategies for market segmentation, pricing, distribution, promotion, and marketing and advertising. The result is a custom-designed strategic marketing plan that addresses your challenges, enhances your business strengths and helps you seize the opportunities that await you. Our marketing and merchandising services include event marketing, merchandising, and mystery shopping services. 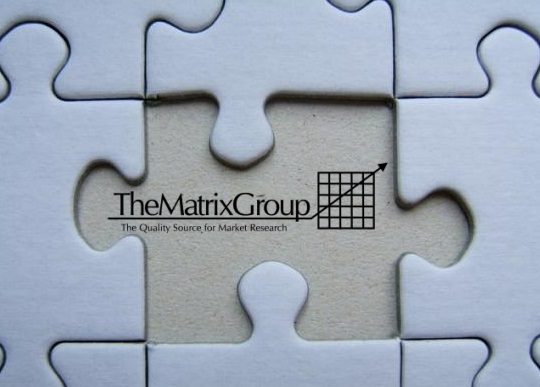 Using our network of market research partners developed over the course of two decades of conducting national studies, The Matrix Group has the capability to field studies in most major and mid-size markets throughout the United States. We regularly conduct both quantitative and qualitative studies and tests from the east coast to the west coast, and in most major markets inbetween. We provide a full line of quantitative research services, including online, mobile, phone, and mail surveys, as well as data processing, analysis, and reporting. We have a state-of-the-art focus group facility, and provide a full line of qualitative research services, including focus group hosting and moderating, and field and recruiting services. Host your next Lexington event at The Matrix Group. We offer a convenient, private, and flexible space to accommodate your group of up to 20 people, with facility rental on an hourly, daily, or multi-day basis.